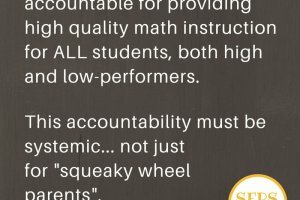 One of my favorite edu-parent-bloggers, Bill Ferriter, of The Tempered Radical, recently wrote about the North Carolina’s decision to assign letter grades to individual schools based on nothing more than test scores, a practice which I believe should be illegal. 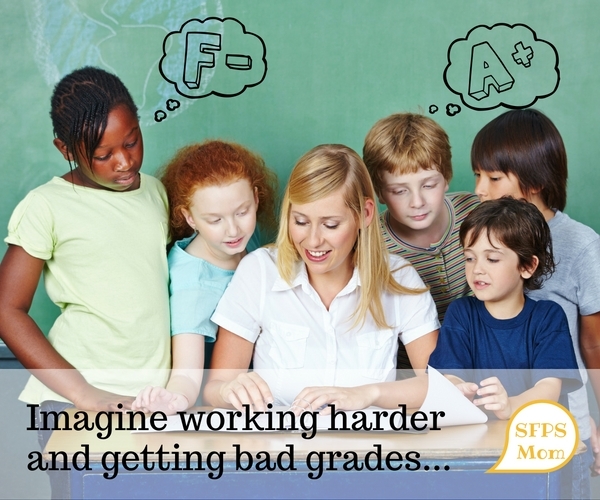 It’s high time we started tearing down the belief that “grading” schools somehow informs parents or improves education. Not only does it unnecessarily worry parents, it’s unfairly blames teachers, increases segregation in our communities and undermines our public education system as a whole. My daughter’s school is nothing short of a remarkable place. EVERY time that I stop by, I feel a sense of happiness from everyone that I meet. Students smile and skip and laugh and joke with each other and with their teachers. Teachers are relaxed and joyful, invested in each other and in their students. Provocative questions are being asked and answered, positive messages are being shared in conversations and in school-wide displays, and programs that concentrate on developing the whole child…. …I am worried about is the consequences that a C rating will have on the choices that her teachers make. We all know that test scores tell us more about parent education level, income and, yes, RACE, than they do about teaching quality. Unfortunately, many parents use these ratings to asses the quality of schools. In SF, our state and district departments of education use a variety of methods to assess quality for public schools. I am glad our state and district don’t evaluate teachers based on test scores like they do in states like North Carolina and elsewhere. Nonetheless, even when you include non-academic measures like suspension rates and attendance (as our district does), in many cases the school rating only serves as an indicator of the number of low-income or Black/Brown students. 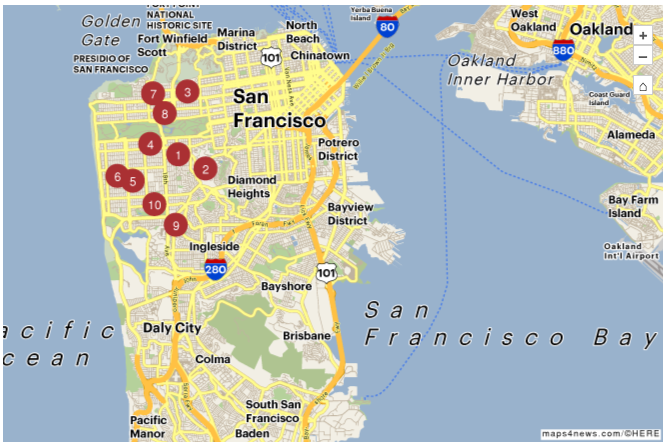 The San Francisco Business Times article titled, These are the 10 best public elementary schools in San Francisco lists an interactive map of the “10 Best Schools” which, surprise, surprise ALL HAPPEN TO BE ON THE WEST SIDE OF THE CITY. Now, don’t get me wrong, I have no doubt the schools listed above are wonderful schools. The problem is, there are MANY, MANY, more EXCELLENT schools in our district that NO ONE HAS EVER HEARD ABOUT. Take Jean Parker Elementary for instance, a school my daughters’ attended. They are reading WELL BEYOND their grade level, have been consistently challenged and have felt like valued members of a loving and nurturing community their entire time there. 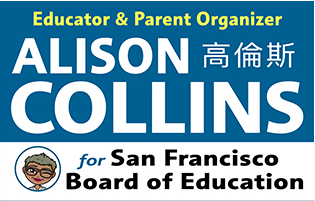 I’ve met teachers at Gordon Lau, Harvey Milk, John Muir… the list goes on and on. Looking these schools up, they score B’s on the rating scale. Grading Schools is Wrong: Bill Ferriter, is an experienced educator who feels his child’s school is a good one. Yet it rates a C. What does that say about the state rating system? Test scores and rating systems don’t tell you what’s working well in a school or highlight areas for improvement. They don’t increase parent knowledge, nor do they improve instruction. Instead, they misinform families, telling them to question their judgement about public schools, especially those serving marginalized communities. Grading Schools is Wrong: Why Do We Grade Schools Anyway? And if test scores were really so important, why aren’t parents demanding private schools conduct standardized testing? The reality is, we have a segregated education system of HAVE’s and HAVE NOTS. Our current testing and reporting system is built to help affluent parents segregate their kids into well-resourced schools. Thus, our current testing and reporting system rewards public schools that already HAVE while shaming schools which need the most support. And where do private schools fit into all this? That’s easy, they don’t. White and affluent kids go there, so we already know they’re good… right? 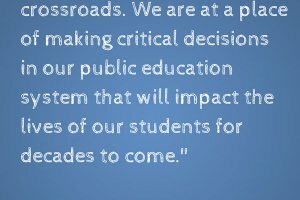 And what messages does this send to teachers working hard to serve our most marginalized students? Teachers working with the hardest to serve students are the most likely to see low scores on standardized tests. When we base school accountability measures SOLEY on test scores, we guarantee teachers serving our neediest students will be rewarded with the lowest “grades” for their schools. Does any of this make sense to you? … Me neither. Many parents were educated in traditional classrooms. To advocate effectively, we have to educate ourselves so we don't push for out-dated instruction. 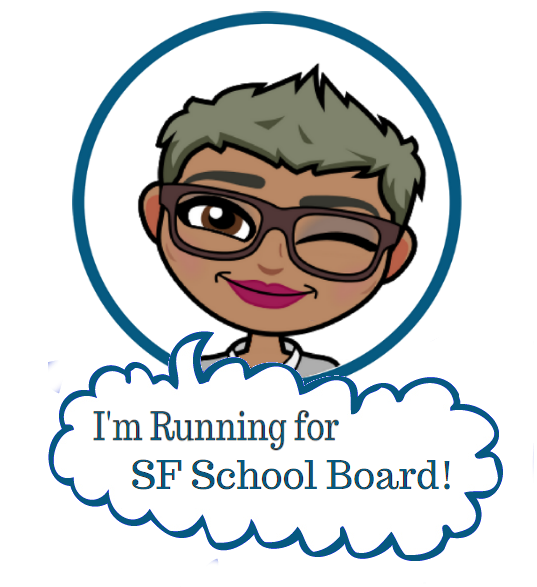 SFUSD leads the way in designing a new school accountability system which moves away from using ONLY test scores to evaluate school performance. Thank you for this post. I’ve been telling parents about these factors for years, but the idea that there is some concrete measurable data in determining a school’s merit is resistant to the arguments that you put forth here. Because our society is obsessed with such data, I think that we have to keep working on educating our parent communities on the absence of educational or scientific merit to such simplistic valuation systems.